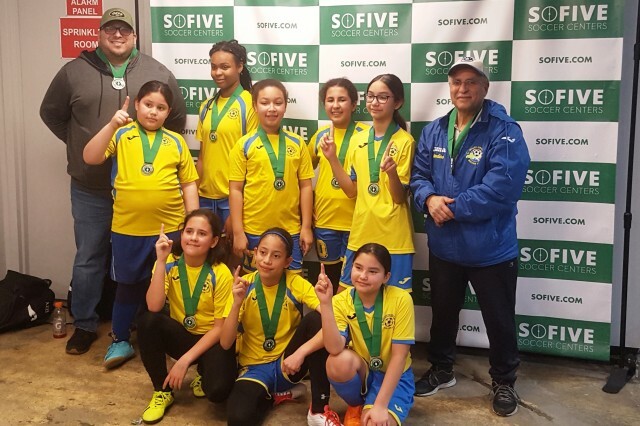 Updated Tuesday April 16, 2019 by ..
Big Congratulations to our club team Tuareg Rebels U12 Girls for winning the SoFive u12 Tournament in Brooklyn on Saturday, March 23, 2019. What a tournament! Our girls were at their best in this event of almost non-stop 4 exhausting games. What a way to end the winter season! They outperformed every team and were in total control of the last game against the #1 team. This same team was a finalist in the Long Island Cup games last year and had won the LIJSL Division Championship. Let's keep our hopes up for this year's competitions for all our VSSC teams. Congratulations to every member of the team and to their Coach and Assistant Coaches. The VSS Club is very proud of their outstanding performance.